For a variety of reasons, the Public Radio was due for a complete hardware redesign (the potentiometer wasn't fitting, and so a smaller speaker was required... etc.). I got that mostly done this afternoon - modeled the new speaker and a knob, and redesigned the lid to fit them. I'm not totally sure how I feel about the grille design, and if I had to bet I'd say it'll change soon. I'm also curious whether we can fit everything in the next size smaller jar, which is the same footprint but half the volume and *really* cute. 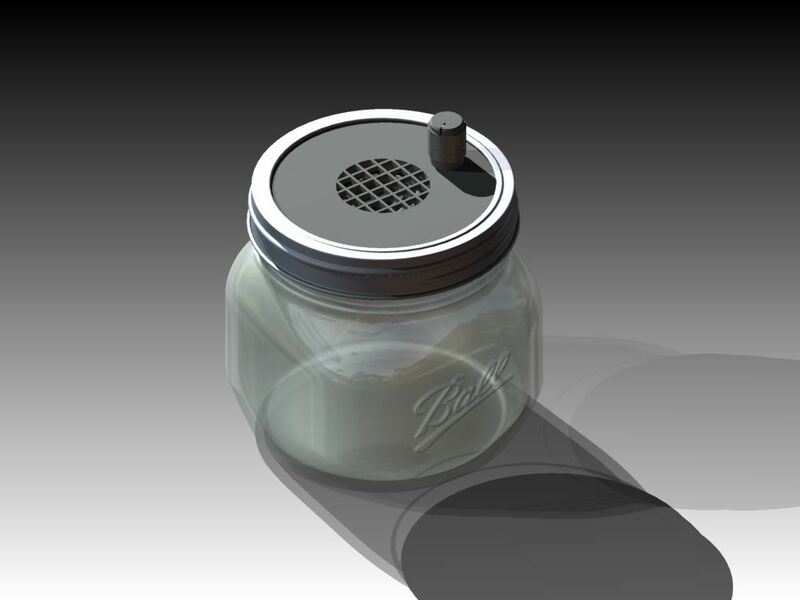 Previously, we chose this jar so that a deeper speaker could be used, but the one we're planning for now is tiny - despite its good power output. I'm hoping to get this new lid printed and delivered next week, which is about when the electronics should be coming together. Stay tuned.